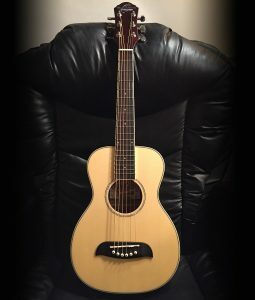 As a guitar teacher, I have been looking for a quality kid size guitar like this for years. It is easy for kids to hold and the width of the fingerboard is perfect for the hands of a young player. In almost every aspect this guitar is properly proportioned for young kids. This guitar along with our seasoning and adjustment process helps to make it easy for kids to be successful in learning to play the guitar. The sound is balanced and clear which helps in early ear training. The guitar “feels” right to play and kids are excited to play it as it looks like a full size guitar, only it fits them. The internal construction and braces are the same as full size guitars, but in a smaller version and the fingerboard meets the guitar body at the 14th fret just like a full size guitar which helps young kids easily transition to the next size guitar. Another great feature is that it has machined tuning gears. Kids will have a greater opportunity to learn to tune earlier and do it better. This is quickly becoming one of my favorite guitars for my young students to play. In almost every detail it is perfect for young kids to play and learn on. If I could could change anything I would have it designed with a Concert or Orchestra Style body size which is slightly smaller. The Dreadnought body style is an over sized design and has been the most popular acoustic guitar body style for decades. Over the past several year the Concert/Orchestra Style body has gained in popularity as players are discovering they are comfortable to hold and have a balanced and slightly less bass sound. However, I must admit that I play my dreadnought almost everyday of the week. Because this kid size guitar is so well made, it is much easier for us here at FirstGuitar to season and adjust as compared to cheaper, lower quality kids guitars. 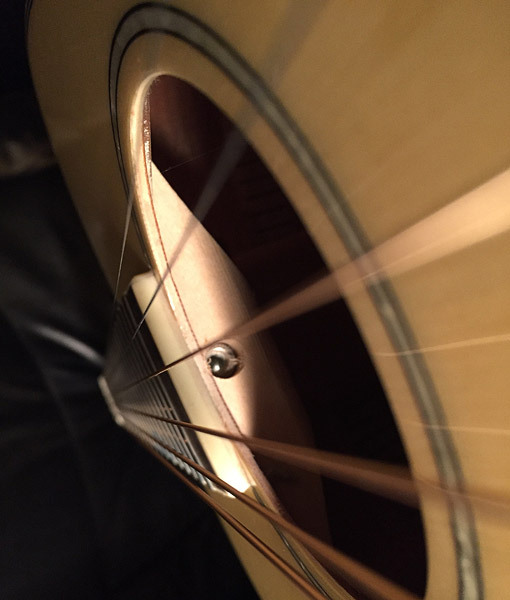 As a result, we can present you with the best sounding and easiest playing guitar possible. The woods are more stable and can hold their adjustments better with the proper care. All measurements by FirstGuitar to the nearest 16th inch.